Fannie Mae is on a mission to make home buying easier. With its new HomeReady mortgage, the giant mortgage backer looks to help first time home buyers and repeat buyers alike. This new mortgage program is laser-focused on helping minorities, Millennials, and mixed families on their road to homeownership. Down payment sources include gifts, cash-on-hand, and down payment assistance programs. Income from non-borrowing household members helps your approval. “Boarder income” (income from a roommate) helps you qualify. This program goes way beyond the flexibility of most other loan types, even ones considered ultra-flexible like FHA. Click here to see if you qualify to buy a home with the HomeReady Mortgage. Down payments have been one of the toughest parts of breaking into homeownership. According to a Trulia report, a whopping 58% of renters age 18-34 said the down payment was the number one obstacle to owning a home. Fannie Mae has its sights aimed right at that issue. 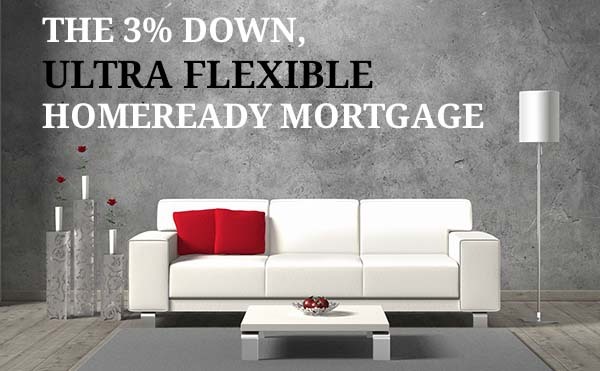 The HomeReady Mortgage only requires 3% down. But more important, the source of that 3% is very flexible. Most other mortgage programs require what’s called a “minimum contribution” from the borrower. This is the amount home buyers must come up with on their own. Only after they have met the minimum contribution can they receive help from a gift or down payment assistance program. Not so with HomeReady. One hundred percent of the down payment can come from a down payment gift. A parent or other relative can fund the entire amount of down payment and closing costs. The buyer can also receive a grant from an approved down payment assistance source. Many cities and states around the country offer down payment assistance programs that cover up to 100% of the required down payment. But the real groundbreaking feature is the ability to use cash-on-hand. Many people save cash in a safe place at home rather than in a traditional savings account. Most mortgage programs require an applicant to open a bank account, deposit their cash and wait 60 days. After two months, the borrower can submit bank statements that do not show an unexplained bank deposit. HomeReady allows a potential home buyer to apply immediately. Just keep in mind that lenders may require various methods of verifying cash-on-hand. Still, this feature allows HomeReady borrowers to buy a home sooner. Click here to apply for HomeReady now. Another HomeReady flexibility is regarding income. HomeReady is exactly like other mortgage programs in that borrowers can use employment income, commission, bonus, and even tip income to qualify. Home buyers can use income of household members who will not be on the loan. This feature works great for multiple families living in one home, parents living with children, or unmarried couples where only one individual wishes to be on the loan. The non-borrower’s income must be used as a compensating factor – not for qualification. This means that the lender will not add your household member’s income to your income to make an approval decision. Rather, the non-borrower’s income will be considered a reason to approve a borrower even though his or her debt-to-income ratio is over 45%. Debt-to-income ratio is determined by two factors: 1) the amount of the future house payment plus all other required monthly debt payments, and; 2) gross income. For instance, someone making $4,000 per month and $2,000 in housing, credit card, and student loan debt payments would have a 50% debt-to-income ratio. Normally such a home buyer would not qualify. The maximum debt-to-income for Homeready is 45%. Yet additional income from household members could help the lender approve the loan above the 45% mark, even though the borrower is not technically within guidelines. Every situation is different so check with a lender to see if household income can help you qualify for this program. Click here to check your HomeReady eligibility. This program allows income from non-occupant co-borrowers. This is the term used for co-signers of the loan who will not live in the home. For instance, parents who already own a home can co-sign their child’s mortgage loan. The lender will use their income along with the main borrower’s income for qualification. In addition, the home buyer can use “boarder” income to qualify. A boarder is basically a roommate or someone renting space in your household. To use the income you must document rental payments and a shared living situation for the previous 12 months. This feature makes homeownership much more feasible. Be sure to confirm your roommate will move into your new home with you. If so, they will be helping you qualify –and pay for – your mortgage! Click here to apply for the HomeReady Mortgage program now. If the home you plan to purchase has a basement apartment, mother-in-law unit above the garage, or other accessory unit, you could use rental income to qualify. Even if you do not currently have a roommate, you can find a renter for the additional unit in the new home and use proposed income to qualify. Unlike boarder/roommate income, you do not have to have 12 months history of shared residency. You do not need previous landlord experience or education to use income from an ADU renter. Keep in mind that the home must be classified as a 1-unit home with an ADU, not a 2-unit home. Using rental income is still possible when buying a 2-4 unit home, but you may need landlord education and/or experience. Income limits are set by geographical areas. In underserved areas, there are no income limits. In more economically developed areas, Fannie Mae has limited the amount of money HomeReady applicants can make. This policy ensures the program is reserved for the ones who need it most. The following is a breakdown of income limits. For instance, a home buyer in Los Angeles County finds a home within an area that limits income to 100% of the median income. The median income for Los Angeles is $67,200 so that is the most the buyer can make and still buy the home. If the borrower makes more than this, he or she could find a home in an underserved area with no income limit. Upon a successful home search, he or she could use HomeReady. Fannie Mae has published HomeReady eligibility maps for each state that detail each geographical area. It can be difficult to see the exact boundaries. Be sure to check the property address of the home you want to buy and your income with your lender. Click here to see if your income is within HomeReady limits. Applicants don’t need perfect credit to qualify. In fact, FICO scores down to 620 could be approved. A credit score of at least 680, though, will yield the best rates. Fannie Mae waives some upward rate adjustments for borrowers with a 680+ score. That means higher credit borrowers can receive a better rate for a 3% down loan than would 20%-down borrowers. Be aware that lenders often impose “overlays” — tighter standards than Fannie Mae itself mandates. If your lender requires higher credit scores than those mentioned above, shop around to find a more lenient mortgage provider. Fannie Mae has reduced the amount of required mortgage insurance coverage. This translates to lower cost for the borrower. Private mortgage insurance (PMI) would cost around $230 per month on a typical 3% down loan of $250,000, according to MGIC’s Rate Finder. Under the HomeReady program, PMI is just $160 per month. The $70-per-month savings allows HomeReady buyers to afford more home for the same amount of money. 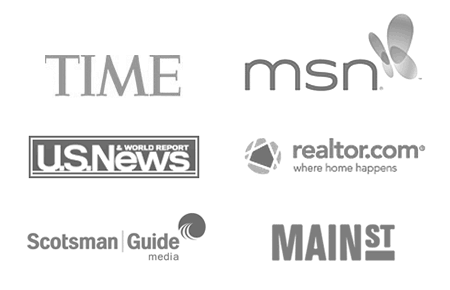 All buyers who use the program must complete home buyer education. The course is provided online and can be done according to the individual’s own pace and schedule. There is a small fee of $75 for the education – a small price to pay for the flexibility of the program. New homeowners benefit greatly from pre-purchase education. It’s hard to know all the ins and outs of homeownership by researching on your own. Going through formal training is a great idea for first time home buyers whether or not they use the HomeReady program. Why Is Fannie Mae Rolling Out HomeReady? Fannie Mae formed an Economic and Strategic Research group. What did this group find? New homeownership is being driven by an ever-increasing number of diverse groups. For instance, Millennial home buyers are moving from renting to buying in more numbers. Straddled with student loans, many have had no luck saving for a down payment. First and second generation immigrants to the United States often pool their resources together to buy a home. Two families could live under the same roof. A group of single people might buy a home together to defray high housing costs. Finally, the U.S. population is aging. Parents are moving in with their children. As of 2012, over 57 million people lived in a multi-generational household. That’s about twice the number as in 1980. Adult children will need to buy bigger homes as they plan to house aging parents long term. The HomeReady program allows them to use their parents’ income to buy a bigger home. It’s a great time to see if you qualify. Checking your eligibility is a great way to start your homeownership journey. Families and individuals will find the program much easier to qualify for than other programs. It could even be a great loan to compare if you’re also shopping for an FHA loan. The program works for first time and repeat home buyers. Check your eligibility now and get a free rate quote.